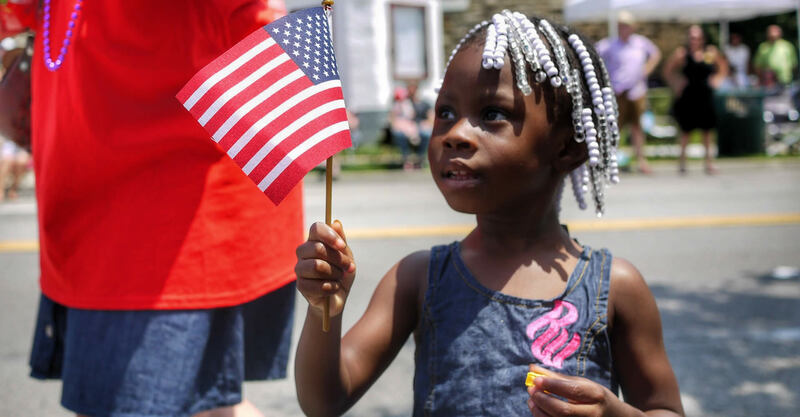 Webster Groves Community Days is an annual event to celebrate the Fourth of July holiday. The Citizens’ Committee for Community Days organizes all of the activities for the event aside from the Webster Groves Lions Club annual carnival and barbecue charity fundraiser. The fairgrounds are located at 40 Acres, just south of Highway 44 and Elm, in Webster Groves. All activities (aside from the carnival and barbecue) are FREE to the public and are funded through donations from businesses, organizations and the citizens of Webster Groves. For more information about Community Days or if you would like to contribute to fireworks, please go to the City’s web page at or contact the Webster Groves Parks and Recreation Department at (314) 963-5600. Please refrain from placing your blanket/tarp on the ground before the day of the fireworks. Ground covers of any kind, if left too long, can negatively impact restoration of your park. To protect the grounds, blankets may be removed. Thank you in advance for your cooperation. Removed blankets may be recovered at the Rec Complex during normal hours by July 11, at which time they’ll be donated. As always, coolers or outside food and drink are not allowed on the grounds. Due to insurance restrictions, no outside booths or strolling vendors will be allowed on the Fairgrounds unless already coordinated through the Webster Groves Lion’s Club. Ambrose Way will be entirely closed from June 27 through July 6. Moss Field (football stadium) is closed during the event. For safety reasons, no one is allowed inside the stadium to view the fireworks. Aquatic Center closes at 6 p.m. on July 1 for the Miss Webster Pageant. ACCESSIBILITY: People requiring special assistance may be dropped off at the Hixson parking lot designated for accessible parking near Elm and Ambrose Way. There are also a limited number of designated accessible parking areas at Hixson Middle School and Webster Groves Recreation Complex available to properly licensed or tagged vehicles. Bags, purses, backpacks, etc., are subject to random searches by law enforcement personnel. Trash removal and recycling services are provided by Waste Management. The carnival and barbecue Fairgrounds will be located on the Webster Groves School District parking lot (east of Moss Field) and the northern end of Webster Groves Recreation Complex parking lot. The Hixson Middle School Parking lot will be paid carnival parking all hours of Community Days. Cost is $10 per vehicle. Access is from Elm Ave only; there is no access from Colebrook. Funds generated will help band students pay for band trips and camps. Off-site carnival park/shuttle or walk/shuttle bus will be available at Nerinx Hall parking lot on Garden Ave. Shuttle fee is $5 per vehicle. Funds generated go to the Webster Groves High School Band Aides. The shuttle bus will drop off and pick up Elm at Ambrose. More information can be found at https://wgcommunitydays.org/parking/. The Webster Groves Recreation Complex parking lot will remain free public parking for the duration of the event and may be accessed from E. Glendale Road only. It is important to note that the Colebrook entry to the fairgrounds and parking lots will not be open to vehicular traffic, and Ambrose Way will be closed from the Hixson parking lot to the Rec Center Parking lot. Also, many streets surrounding the fairgrounds will have no parking on one side for the duration of the event to ease the flow of traffic. Note: All entertainment (Webstock and featured musical groups) is sponsored by Webster University. An ever-popular event associated with Community Days is the Miss Webster Groves Pageant. The goal of the pageant is to select a well-rounded representative of the City of Webster Groves, who may appear at various activities throughout the year. Each candidate is qualified to be the next teen ambassador, Miss Webster Groves 2018. Entertainment will be provided by Alex Ward, a singer/songwriter and alternative rock musician from Webster Groves, 2013 graduate from Webster Groves High School. Our judges this year are City Council Members Matt Armstrong and Bud Bellomo, Community Leader Lee Moss. past Miss Websters Elaine Syrewicz (1972), Pam Thuston (1973) and Libbi Pacatte (2012). The 2018 pageant would not be possible without all the community support it receives. This year, Forefront Dermatology is a pageant sponsor in addition to the local merchants or organizations who serve as Miss Webster candidate sponsors. Please thank and support the following merchants who have so graciously sponsored the pageant: Berkshire Hathaway Home Advantage Realtors, Embroider the Occasion, Raymond James and Summit Jewelers. In addition to these financial sponsors, Lindwedel Jewelers provides the beautiful Miss Webster tiara, flowers were sponsored in part by Crimson Petal, and embroidery for the candidates’ shirts was compliments of Embroider the Occasion. Pageant photography will be provided by Miki McKee Koelsch. 6:30 – 7:30 p.m. and 8:30 – 11 p.m. Kids and ride enthusiasts of all ages can ride carnival rides to their heart’s content for the unbelievably low price of $25. Purchase wristbands at the ticket booth on the Fairgrounds. Lions Club Carnival, Midway Booths and BBQ with $25 Unlimited Carnival Ride Wristbands! Stevie Ray Vaughan. Def Leppard, ZZ Top, Grand Funk, Aerosmith, Robert Palmer, Led Zeppelin, Red Hot Chili Peppers, Third Eye Blind, and so many more! For a sampling of their music, visit http://stevehauserband.com/music-2/. This taste of the Fourth of July fireworks show promises to provide viewers with a dazzling display of rockets and bursting bombs. The parade, which draws thousands of spectators, begins at Lockwood and Selma and travels west on Lockwood. It turns south on South Gore and travels down Gore to Big Bend. It then turns east on Big Bend and turns one last time south on Elm Avenue. The parade ends at Memorial Park (at the intersection of Elm Avenue and Glendale Road). We are honored to have volunteers from Webster Groves Masonic Temple to serve as Parade Marshals again this year, lining up units, enforcing security measures and securing the course. Parade Judges have the honor of selecting parade units to receive awards in the various categories listed below. Awards will be given at the July 24 City Council meeting. Joe Fichter, Managing Partner at Webster Groves Subaru, a Webster business for over 40 years. Emmy McClelland, a long-time Webster resident and former member of the Missouri House of Representatives. Philip Wojak, recently retired after a long and distinguished career as a physics teacher at Webster Groves High School. Of course, safety is of paramount importance, but parades have inherent risk, so it’s important that parade participants and spectators do all they can to help. The parade, of more than 80 units, travels along a two-mile route through the streets of Webster Groves and draws a crowd of thousands of spectators. With regard to parade units, several safety measures are in place and enforcement will be without exception. There will be no throwing of water balloons or large super soakers allowed from any parade unit or spectators. Each sizeable motorized unit will have wheel walkers, whose job it is to keep the path clear in front and on the sides of the unit. Parade participants are not allowed to throw candy or other items from a moving unit; however, they may have walkers who will hand the items to spectators on the sidewalks. Violators should be reported to a parade marshal or police officer. Along the parade route, parents and adults should keep close track of their children and ensure that they are not endangering themselves by running in front of a parade vehicle to get a piece of candy or trinket. Remain on the curb or behind it. There will be no sales of water, ice cream, etc., on the street ten minutes prior to start time until the conclusion of the event. Safety is everyone’s job. Please help by doing what you can. 11 a.m. – 11 p.m.
Lions Club Carnival, Midway Booths and BBQ. Clint & Co delivers all of your favorite songs – from the biggest names of the 60’s and 70’s (Beatles, Stones, Hendrix), 80’s and 90’s (STP, Nirvana, Foo Fighters), to the popular bands of today (Mumford and Sons, Gnarls Barkley, Killers) – with an emphasis on blistering guitar, sensational vocal harmonies, and a spectacular experience for music lovers of all ages. Committed to a history of rocking out venues such as the Pageant, mainstages at state fairs, and the hottest bars in the Midwest region, the members of Clint & Co have been bringing people to their feet for over 17 years. Band members include Clint Wilson (lead guitar, vocals), Dan Martin (bass guitar, vocals), Peter Lang (drums, vocals). To get a sample, visit www.clintandcompany.com. See you soon. Enjoy! Exploding with enthusiasm, the 2018 Fireworks Spectacular should once again be a crowdpleaser with the latest and greatest pyrotechnics!